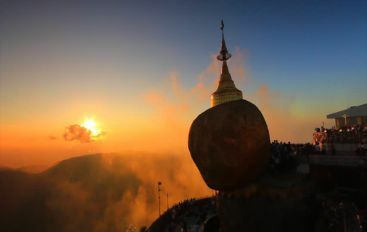 Among the many amazing sites to visit are the spectacular, shimmering spire of the Shwedagone Pagoda towering over the skyline of Yangon; the magnificent and ancient temples in Bagan; Mandalay (the last kingdom of Myanmar) and Inle Lake, natural and is famous for its scenic beauty and can see the unique leg-rowing by Inthar, the native lake dwellers. Upon arrival at the Yangon International Airport, welcome by our representative. Yangon, formerly known as Rangoon, is still a relatively quiet and charming city. Its impressive colonial and spiritual heritage makes Yangon one of the most fascinating and authentic capitals in South‐East Asia. Transfer to hotel for check‐in. Sightseeing starts visit Sule Pagoda, Mahabandoola Park with Independent Monument and have a memorable scene of colonial building & atmosphere. Visit Chaukhtatkyi Reclining Buddha Image: 230 ft (70m) long in the pose of rest. Visit Shwedagon Pagoda: a world famous listening gold stupa towering over the city spiring to a height of 326 feet. Then enjoy at Night Market or China Town Market with several taste of food and various fresh fruits. Overnight at the hotel in Yangon. Day 02: Yangon-Kyaikhtiyoe sightseeing by car. Overnight at Mt. Kyaikhtiyoe. Day 03: Kyaikhtiyoe-Bago sightseeing and return to Yangon for overnight. After breakfast at hotel, drive to Bago City with coach (driving 2hrs estimate). On the way, visit Shwethalyaung Reclining Buddha (55 metres long), Shwemawdaw Pagoda, 28 meter high huge Buddha Image of Kyaikpun Pagoda, Chinese Kwanyin Temple. 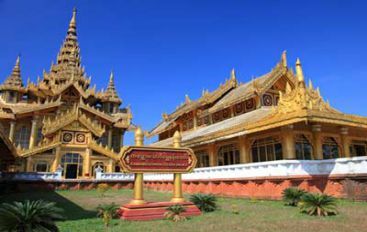 Then visit the Kanbawzathardi Palace of King Bayinnaung. And visit Weaving Factory in Mon village to see way of life. Drive back to Yangon. Then visit Inya Lake, have pleasant walk around the bank of Lake Inya to enjoy local people way of life and with lush greenery and gentle breeze. Overnight at hotel in Yangon. 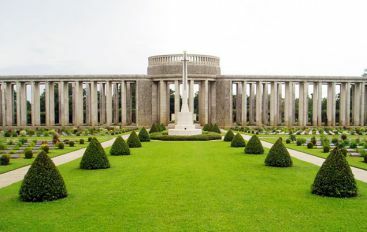 It was cheaply cheaper than the other tours and the guide was also very kind. The car was also very good with the car of Toyota. However, the people who were allowed to sit four in the back seat were narrow and poor. Very professional...worked with Sandy to organize a charter tour of Golden Rock...super helpful and very detailed. The driver's English was limited but having a clean roomy air conditioned car was lovely. The driver was also able to drop me off at the airport in the return to Yangon. He also knew the cheaper clean places to eat as food is pricey near the rock. A very interesting trip. Our guide was very informative and helpful. Nothing was too much trouble. The drive to Kyaiktiyo enabled us to see some of the Myanmar countryside and village life. The truck drive up to the rock was an experience! The site was very busy, but fantastic people watching! We knew very little about Bago but it exceeded expectations - particularly the Golden Palace. Prepare for a long, but really good tour. Note that the heavy traffic on the approach to Yangon means that you may not get back to the city by 5pm as programmed.